When an organization runs its own applications, latency is important. The issue with cloud hosting an application server is that unless there is a data center with reasonable latency, the applications need to be rewritten. This introduces additional costs and complexity. Local data centers have very little added latency over a local network connection. With cloud services, the model only allows the use of its resources. However, organizations making this transition will have existing server infrastructure that is not at the end of its lifetime. 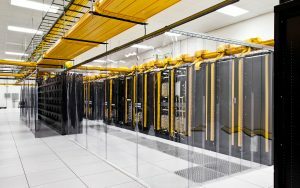 Local data centers enable a gradual transition from colocation of these servers to its own local cloud offering. There is also the added complexity of services like AWS and Azure. Although most technical staff will grasp the changes, management will want the product offerings on the cloud services to mature. Using one of the cloud service providers will result in some form of vendor lock-in. There are open container protocols like Docker that enable the transition. However, that technology is still not mature enough for an enterprise. With a local data center, a company will have complete control over its environment and platforms. Rack Alley provides server hosting Los Angeles, colocation services for customers at their LA data center.